The power of jorts. Go Team WWJD! I was at work yesterday and had just gotten back to my desk from the vending machines with cherry Pop-Tarts in my hand. At that moment, I couldn’t imagine being any happier. Then, as I’m shoving them into my Pop-Tart hole, I get an email that completely obliterated any Pop-Tart joy I was feeling – it was THAT great. 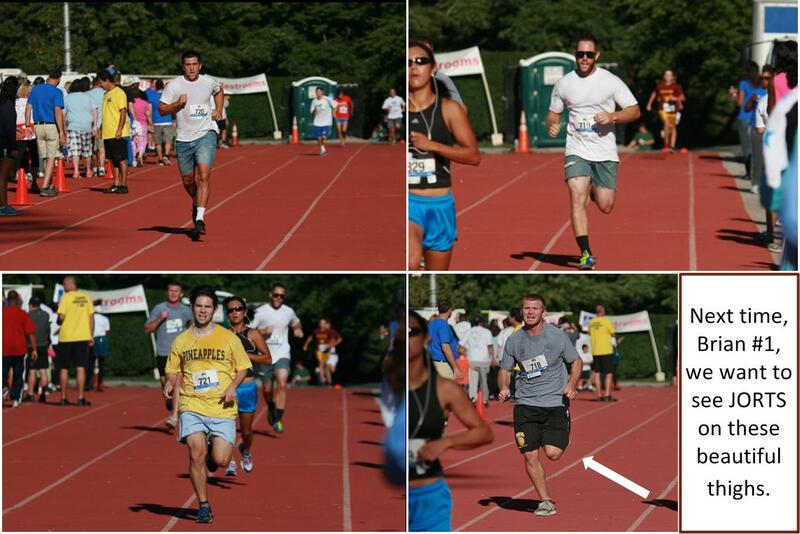 Reader Mike wrote about running a team 5K at the Great Prostate Cancer Challenge in Towson, Maryland. 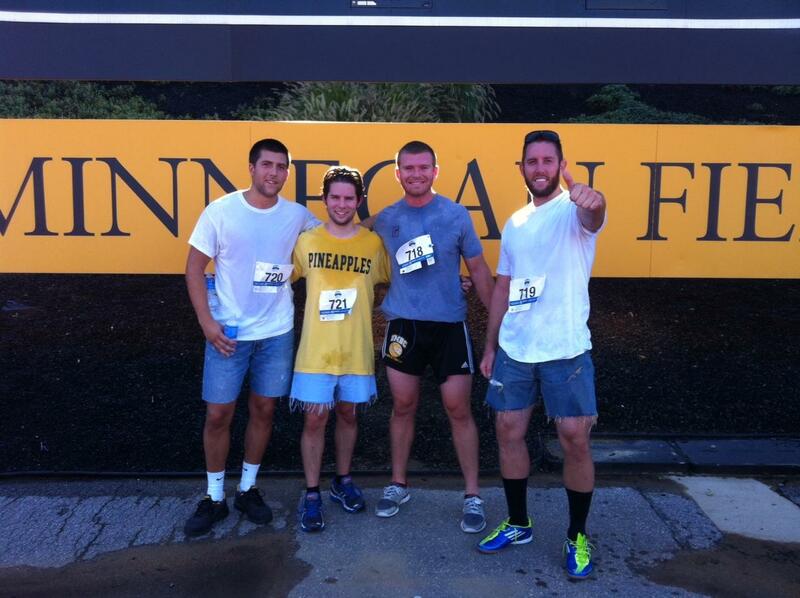 The team ran in jorts. The team’s name was WWJD, as in ‘What Would Jorts Do?’ And he sent us pictures! Meet boyfriends #7-10: Pat, Mike, Brian, and Brian. And then their action shots. Don’t legs look so much better in jorts? Probably the highlight of the race for each of us was passing the serious, veteran runners over the last 1-2 kilometers while rocking the jorts. Hopefully, we’ll add a few more runners to Team WWJD for the next 5k. So lets review the power of jorts. They can help rock a 2nd place finish, make a Pop-Tart seem not all that awesome, make your legs look so much better, shame snob runners, and bring joy to me and oodles of JoggingJeans.com viewers. Go Team WWJD! Tagged 5K, competition, denim, Great Prostate Cancer Challenge, jeans, jogging, Maryland, nakedness, Pop-Tarts, power of jorts, running in jorts, team race, Towson, track, veteran runners, What Would Jorts Do?, WWJD? I have to say, I extremely like the extra bit of frayed threads coming out of Mike’s jorts! 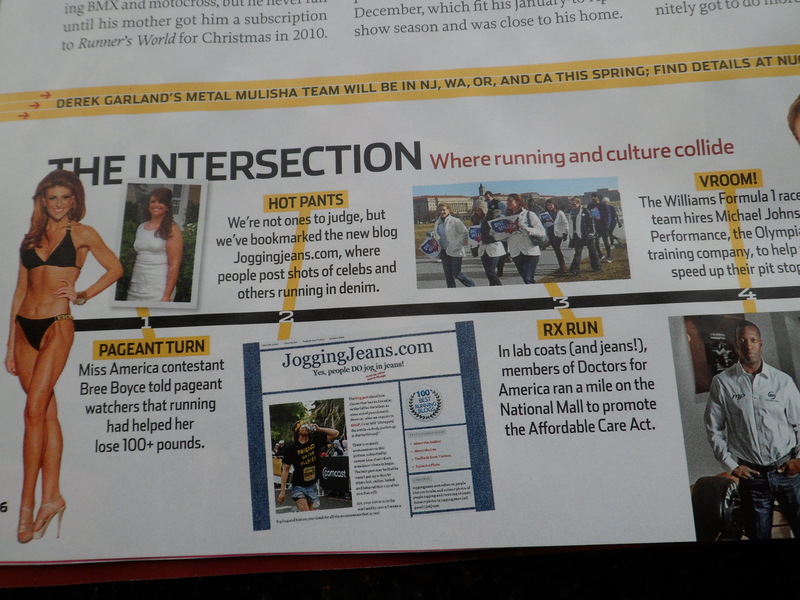 For me it’s a certain kind of run-bohemian look that cannot be denied in the jort fashion world. I agree, but I am also digging the just-took-scissors-to-my-jeans-right-before-I-walked-out-the-door look on Pat. I can’t decide what I like better! nice – this made me smile! and can i share boyfriend #9?? I bow down before them! I am soooooooo not a runner. LOL. But maybe I should go anyway just to ogle all of the hot running guys.